Paul Yates, Product Strategy Director, iPipeline draws on the wisdom of Jeff Bezos as he looks to change the world of protection. In April of this year, I read Jeff Bezos Letter to Shareholders 2016. 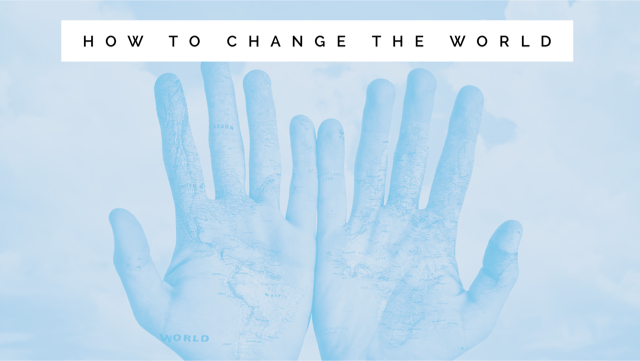 'Retaining the energy and motivation to ‘change the world’. And he is a man who knows how to change everything in his world. How many Day 1 companies do we have in the Financial Provider services arena, in particular, those providing protection products? Does your company think or act like a Day 1 company? It is an interesting question and one I believe we should all spend more time on. At iPipeline, we have re-invented our UK business and, along with our customers, are enjoying significant success with new advanced tools. But what must we all do to ensure that we do not move to stasis and decline? Bezos identifies four key areas to focus on. And I will use this to review what we need to do to change the protection world. Keeping close to customers is critical to the growth and success of protection going forward. Understanding what consumers need and care about in the 21st Century is key. Data and insight are key. Data insight helped iPipeline understand what is important to our clients and the way they engage with their customers. Data informs us as we re-engineer our products – a direct result of this for iPipeline was the launch of SolutionBuilder® and the continual improvements we make. That said, there is no substitute to interacting directly with advisers and clients to shape and test solutions. This needs a change in attitude, and a change in technology – moving to agile teams and solutions that adapt and change rapidly to take account of and benefit from user learning. We are seeing those companies that can spin out new products, developing them faster and with greater customer focus to grow their market share. These companies are aware that they need to remove boring administrative tasks from customers and advisers, instead, allowing them to focus their precious time on identifying and understand needs, before efficiently writing business. A customer-obsessed culture creates the best conditions where all of that can happen. Larger companies have a habit of putting in place long complex processes. The blind adherence to the process can often distract firms from delivering the right outcomes. That is not to say processes are not important, just that they must serve the right goals and be commensurate, or they can take you off in a tangent. Bezos is most concerned about the use of market research and customer surveys as ‘proxies for customers’. iPipeline’s best designers work hard to understand and get a feel for our customers. They take all feedback, assess, review and take appropriate actions. Importantly, they love their products (or babies as they refer to them). 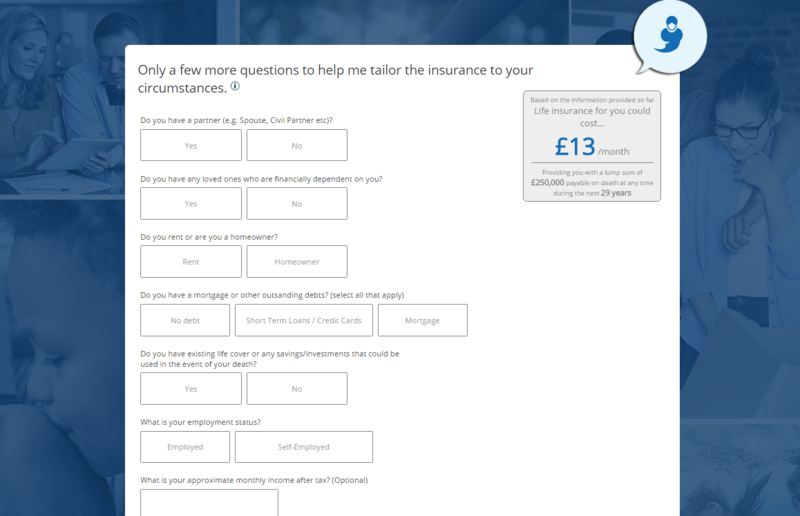 If you look at the newest FinTech solutions, they often come up with very different and compelling takes on insurance propositions. Look at Lemonade (www.lemonade.com) and you can feel the passion oozing from every word on their site and blogs. Talk to Debbie Kennedy at Royal London about their Diabetes Life Cover and you get the same, warm glow. Our industry is challenged to catch-up with trends that started 20 years ago, let alone those that started in the last 2 or 3 years. Life companies and many intermediaries have been slow to adapt their business models. I have been in situations where intermediaries have told me their clients did not want or need a client portal, only to find on asking, that yes this was very important to them. This tardy response has opened opportunities for new innovators to enter the market. It enabled iPipeline to acquire and transform Assureweb into a new FinTech player. It has also opened the way for new robo-advisers, and most recently enabled Gryphon to establish itself as a new FinTech provider. We must embrace technology that supports immediacy and data-driven nudges to prompt consumers to take advice and action. Technology that helps engage customers in their financial plans. Technology that automates tasks that do not add value. Technology that helps advisers spend more time ADVISING customers. Look at how US car insurance companies – The Zebra (www.thezebra.com) and Insurify (www.insurify.com) – give instant information as you complete the online form, building upon the results, updating the savings as consumers add more information. We need to learn from firms such as these and others such as Embroker (www.embroker.com) and Trov (www.trov.co.uk) to see how we can package what we offer – via intermediaries and direct – in a better and more engaging way for the information overloaded generations. If you are not in a place to develop solutions, find partners and vendors who can help you accelerate your plans. But ensure they can integrate these solutions into your infrastructure and not create a disconnected island of data, or create a jarring inconsistent customer experience. We at iPipeline are focused on helping our partners and customers deliver the new world. We work with our own widgets and screens, or we can serve as part of others’ systems via simple APIs, allowing for a joined-up, streamlined process. In a highly regulated environment, organisations will spend an awful lot of time making high quality, but very slow decisions. In a world where you are competing with start-ups, you either need to re-imagine your processes, buy/partner with these new firms, or resign yourself to decline. The ability to make smaller step decisions and focus on minimum viable products helps improve decision making for products going forward. This allows for fast learn and then you can accelerate, adapt of de-commit. You can also use innovative third parties to deliver parts or all the solution – de-risking the solution. Decision making is also slowed down by lack of information. Access to great data and insight can help accelerate decision making significantly. We have been very successful in enabling our customers to rapidly understand the scale of market opportunities and impact of developing new and improved products. Driving to a ‘cabinet’ decision is hugely important. Having been in environments where different departments have differing agendas, it is hugely empowering to all pull in one direction. It is also much faster. This is day 1 for our business – the business of protecting people from the hardships of illness and loss. We live in a world where our customers are time poor. No, it is more than this, they are brain-time poor. They are increasingly looking for solutions to help ‘outsource’ thinking about and making decisions. Never more relevant than today do customers need our services and products. They need great advisers to help them focus on their needs and to help them act on their needs. They need providers to deliver great products that meet their changing lives and changing lifestyles. It is therefore incumbent on us as an industry to step up our game. To step up and innovate, to meet the needs of a nation that requires new and revised solutions delivered in new and different ways.